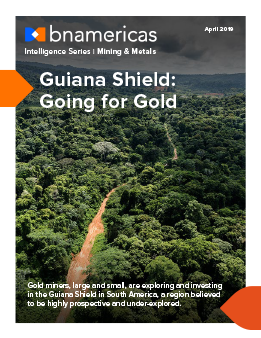 Gold miners, large and small, are exploring and investing in the Guiana Shield in South America. The region is believed to be highly prospective and under-explored. Stretching from southern Venezuela to northern Brazil, the Guiana Shield has similar geology to West Africa, which hosts major gold miner such as Gold Fields, Kinross, Newmont and AngloGold Ashanti. French Guiana: On the Cusp?